Interview with DJ & Multi-Instrumentalist "Roofeeo"
as an obvious sign to learn how to spin/mixrecords. So began Roofeeo's journey as a DJ. Fast forward to today, and it’s easy to catch him spinning a party in some of NYC, Paris and London's hottest nightspots, curating the vibe at events for some of the worlds biggest brands. 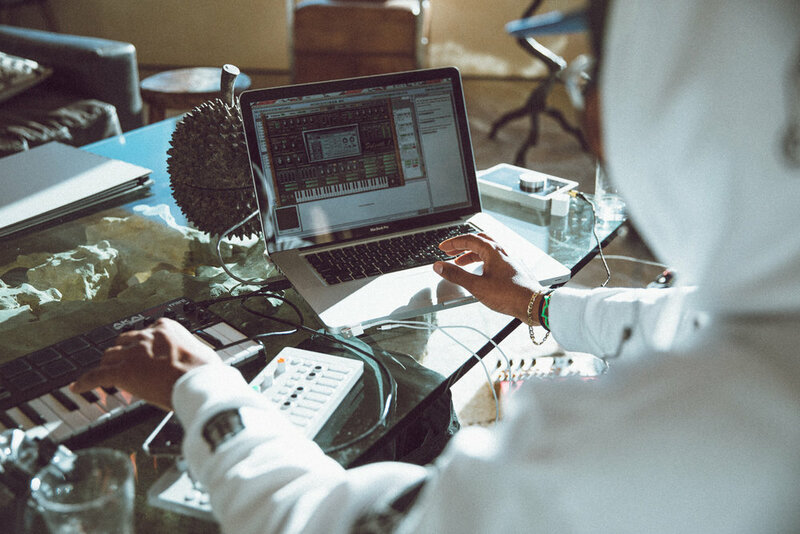 For almost a decade Jahphet has worked with an array of talented artist that cross, merge and blur genres, including Kanye West, Björk, Diplo, Theophilus London, Santigold, and more. Roofeeo: My days are far from typical – I make/play music for a living lol. My days/nights revolve around that, whether it’s playing, listening or writing new stuff. Roofeeo: One of the latest projects I’ve been involved with was in LA, working with Dave Sitek and Sam Dew on Sam’s new album… it’s insane! I can’t wait for people to hear it! Daily News: What do you find most challenging and exciting about your career(s)? Roofeeo: The most challenging part about being a professional touring musician/DJ, is that I’m always traveling. Daily News: Where does your passion derive from? Who are some of your influencers? Roofeeo: My biggest influencers are my friends. I feel really fortunate to have some of the most intelligent, most creative, most hilarious weirdos as friends, they constantly motivate me to be the best I possibly can. Daily News: Who would you most like to collaborate with on a project? Roofeeo: I’ve been super lucky to have worked with some of the most influential artists of our generation, but one of the many people I would be stoked to collab with is Rodaidh Mcdonald, he’s DAF! Roofeeo: In a perfect world I could be bi coastal, NYC summers, LA winters. Daily News: How do you spend your downtime? Roofeeo: Downtime comes few and far between for me, but when it does, I enjoy listening to the records that I pick up when I’m on the road, having tea while burning a spliff, meditating, perfecting my mom’s Panamanian food recipes, and riding my bike around Brooklyn. Roofeeo: If I could spend a day with anyone it would be the Chilean filmmaker/musician/author Alejandro Jodorowsky, he’s brilliant. Roofeeo: If I could give any advice to any young professional (as cliche as it sounds) it would be, know who you are, be patient, and never stop striving to be the absolute best at what ever you do. Interview with DJ & Music Producer "Goldroom"